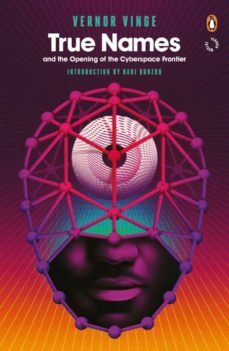 Penguin reissues a seminal work of cyberpunk fiction from the Hugo Award-winning author of A Fire Upon the Deep - with a new introduction by Hari Kunzru. Mr Slippery is an illegal computer hacker - a Warlock - and an expert in a new virtual reality technology called the Other Plane. Arrested by US the government and forced to work for them, he finds himself pitted against a new and frightening international cybercriminal: the Mailman. The Mailman is building a network of Warlocks, promising them wealth and power, causing chaos around the globe - but noone has ever met him in person. As Mr Slippery and his sidekick Erythrina drain the world's computational power to track down their formidable adversary, they begin to wonder if they are chasing a ghost. Is the Mailman a man at all? Is he even human? True Names is part of the Penguin Worlds classic science fiction series.